Bounce-back win for Newcastle as they defeat Worcester. Esh Group Eagles Newcastle bounced back from a double-losing weekend last week with a hard-fought victory over Worcester Wolves. The Eagles move into second with their sixth league victory with Worcester remaining bottom, now at 1-8 despite a promising debut from Deshawn Freeman. 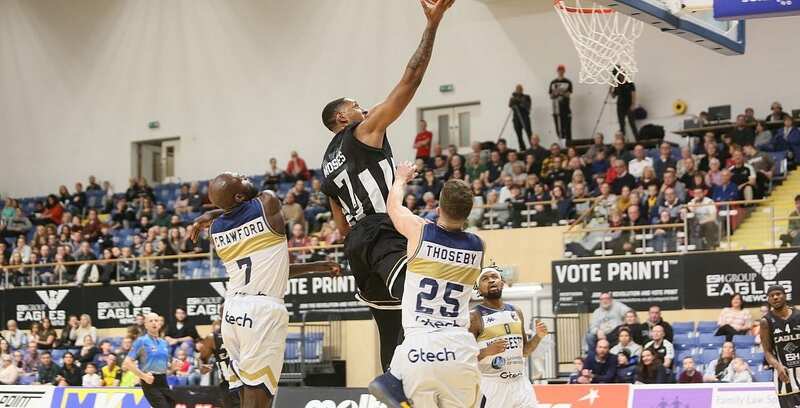 Turning point – The visitors had moved ahead in the third period, but Newcastle restored their advantage and were able to survive a strong rally from the Wolves in the fourth as they held on to secure the win. Key stat – Worcester finished 5 of 19 from 3-point range, while the Eagles doubled their 3-point output, hitting big shots at key times as they pulled away for the win. Game hero – Moses had a big game for the Eagles with 31 points along with 15 rebounds for an impressive double-double, whilst adding three assists and four blocks.